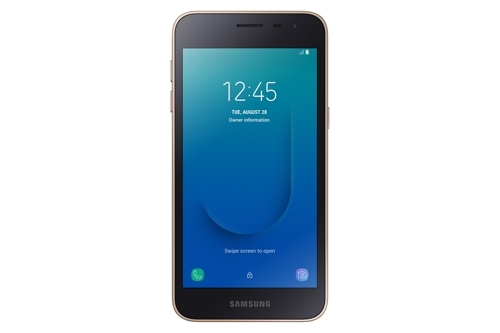 SEOUL, Aug. 24 (Yonhap) — Samsung Electronics Co. on Friday released the Galaxy J2 Core, which is the company’s first smartphone to run on the Android Go operating system, providing users with key features at a reasonable price. “The Galaxy J2 Core offers a complete smartphone experience, incorporating some of the key features available on high-end devices with improved battery, storage and performance that is particularly appealing to first time owners,” the company said in its release. Samsung said the Galaxy J2 Core will be available in Malaysia and India starting Friday, and gradually reach to other markets. The device runs on the Go edition of the Android Oreo system, which focuses on delivering simple yet essential features. The 5-inch Galaxy J2 Core comes with a 2,600 mAh battery, with a main 8-megapixel camera along with 5-megapixel selfie camera.